Details: 2 BR, 2.5 BA beachfront residence with over 1300 sq. ft.
Perdido Key condo for sale at, Indigo. 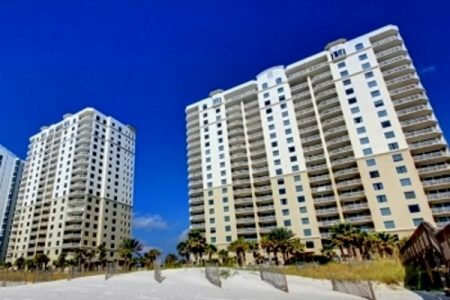 Amazing 2 bedroom, 2.5 bath condo in Perdido Key's ultimate luxury resort. Prime 12th floor location featuring two balconies with breathtaking views of the Gulf and fabulous pool area. Recently updated with fresh paint, high-end furnishings throughout and new flat screen tvs. TWO MASTER SUITES with private balconies and supreme bathrooms, half- bath in hallway, granite counter tops, travertine tile flooring, stainless steel appliances, laundry room with washer & dryer, extra storage, upscale window treatments, private entrance from elevator and much more! Indogo's stellar amenities include a beautiful resort-style swimming pool, hot tub (heated year round), gazebo, BBQ grills, steam room, social meeting room, tennis court, fitness center, theater room, meeting room, pristine grounds and landscaping, covered parking and gated entrance. Come see this resort home and others at - Condos For Sale in Perdido Key Florida.